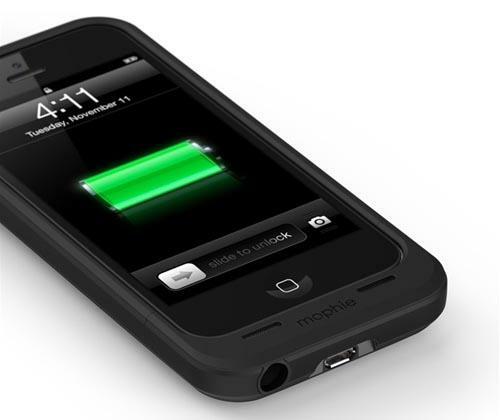 Mophie recently released its latest battery case: juice pack air for iPhone 5. If you want to extend the standby time of your iPhone, the iPhone 5 case may be able to meet your requirements. 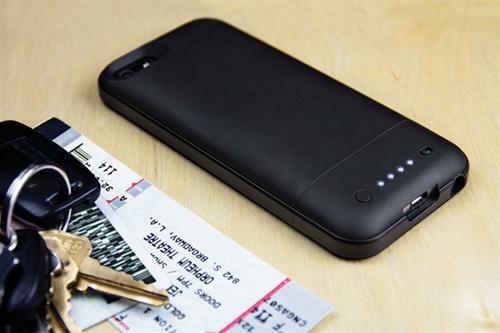 The juice pack air is a form-fitting battery case that measures 2.60 x 5.54 x 0.63 inches and weights 2.68 ounces. As we can see from the images, the iPhone 5 case features sleek ultra slim design along with smooth finish. In addition to protecting your iPhone 5 from bumps and scratches, the iPhone 5 case also features a built-in 1700mAh rechargeable battery to provide up to 8 hours of extra talk time on 3G or up to 10 hours of video playback time, moreover, the integrated LED indicator shows you the status of the backup battery, apart from that, all buttons and functions are accessible via custom cutouts. 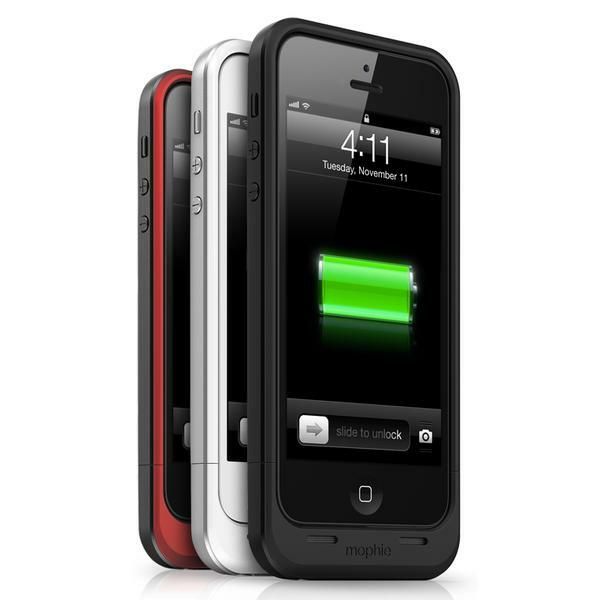 Mophie juice pack air iPhone 5 battery case is available in three colors, each one is priced at $99.95 USD. If you’re interested, jump to Mophie official site for more details or check out the following demo video first. Additionally, if you need other options, you might like to check juice pack helium battery case and more via “iPhone 5 case” tag.